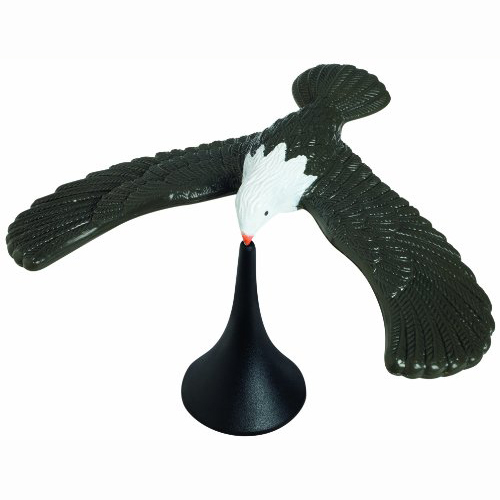 The Balancing Eagle is a unique desk toy and a fun kinetic sculpture. Balance the eagle on its base and give it a gentle push to watch it fly in circles. You can also balance the eagle on your finger and pretend it's your very own pet bird. It's great for fans of the outdoors or any bird lover. Playing with the Balancing Eagle is quite addictive; you may find yourself playing with this eagle toy more than you might expect!